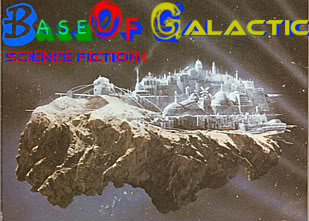 This is a very colorful adventure, with many science fiction elements. 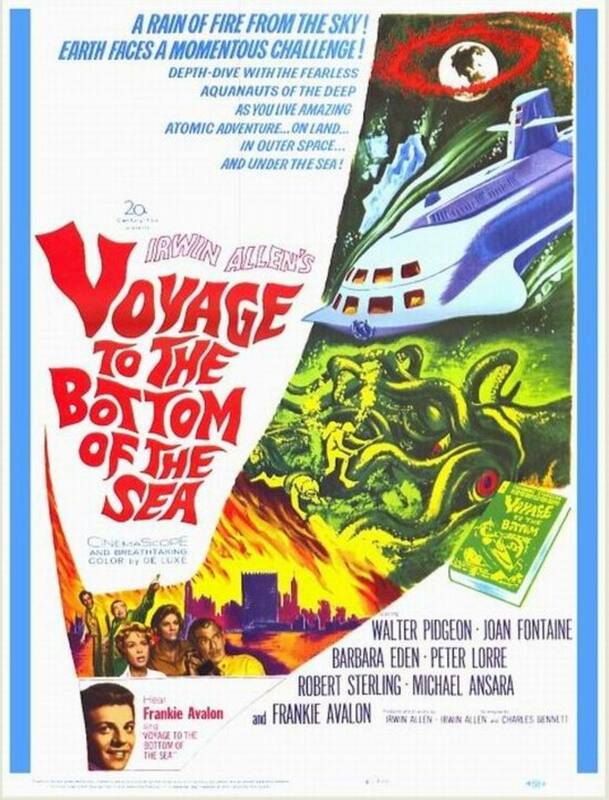 You expect it to be about some threat coming from the bottom of the sea and, instead, it has to do with the sky being on fire. So, we've got the stuff under the water, of course, the stuff in the sky and a lot in-between. What a trip. 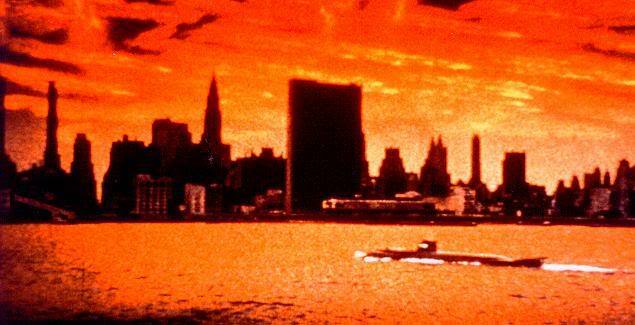 I have the 'Global Warming' special edition DVD. WALTER PIDGEON tells everyone that they're wrong! JOAN FONTAINE tells everyone that Pidgeon is wrong! BARBARA EDEN tells Robert Sterling that Pidgeon is right! ROBERT STERLING tells Eden to stop dancing! PETER LORRE plays with a rubber shark! MICHAEL ANSARA plays with a little dog! 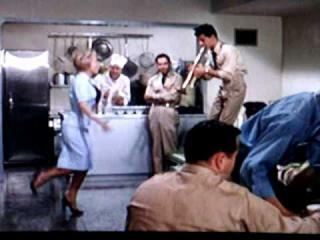 FRANKIE AVALON sings and gets slapped by Pidgeon! 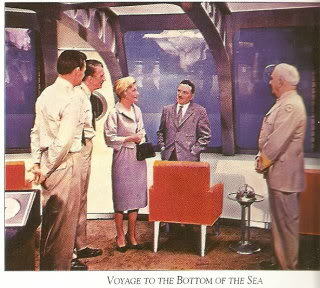 Go with them on a voyage to the bottom of the sea! 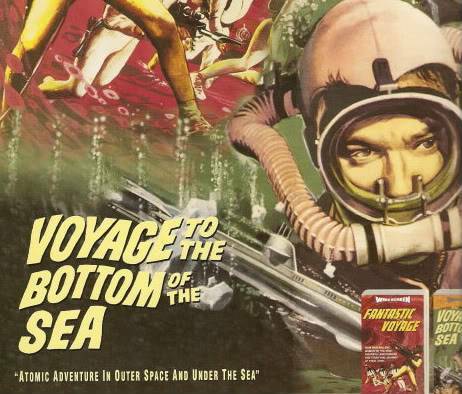 As I read elsewhere, there's always something happening in this one; the only place its slows a bit is a long scuba-diving scene when they seek out the telephone cable at the sea bottom (so THAT's what's at the bottom of the sea! 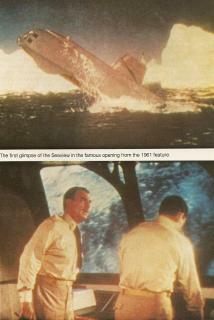 ), the scene where Irwin Allen got the science facts correct. The whole Van Allen Belt thing, prompted by its discovery a few years before, is utter nonsense - and I wonder how long Earth would last at 170 degrees worldwide (a long time, according to this) - but it sure was exciting to watch them race to save it. There were story points in the novel which were missing in the film; as one example, Joan Fontaine's character, a psychiatrist, had a heavy crush on Pidgeon's rival in the novel; in the film, there's no real explanation for her radical behavior and it always seemed out of left field to me. 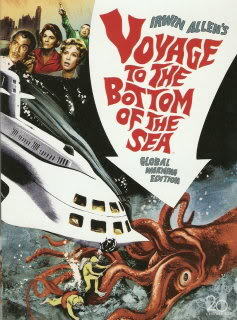 Voyage to the Bottom of Trivia: This film is often paired with other memorable, above average sixties sci-fi, such as Fantastic Voyage (1966) and another Allen adventure, The Lost World (1960); Allen was almost like the Spielberg of the sixties - maybe not as finessed or diversified - yet with that similar approach towards escapism.